Pink coral color. 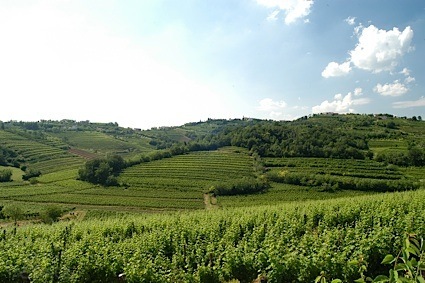 Rustic, roasted aromas and flavors of wild strawberry, ripe red watermelon, vanilla marshmallow, and chocolate brownie with walnuts with a velvety, crisp, petillant, dryish light body and a delightful, medium-length finish with notes of dried figs, nut butter, and relish with well-integrated, fine tannins and a suggestion of oak flavor. An intriguing nutty and rustic blush crusher. Bottom Line: An intriguing nutty and rustic blush crusher. 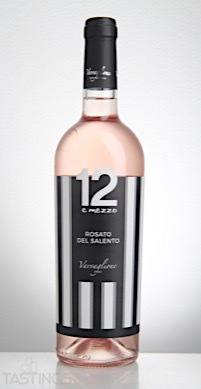 12 e Mezzo 2016 Rosé, Rosato del Salento rating was calculated by tastings.com to be 89 points out of 100 on 5/3/2017. Please note that MSRP may have changed since the date of our review.